Cookieyum grew out of a passion for food, creativity and a desire to make people smile. Eating a good cookie reminded Brigid of that childhood joy experienced from a great treat. She set out to recreate that experience. After a year of studying psychology in graduate school Brigid decided to switch gears and follow her passion for food and hospitality. She attended The Cooking and Hospitality Institute of Chicago (CHIC) and received certificates in cooking, pastry and hospitality. She decided to take her experience from CHIC to a catering company. After 10 years working in the catering industry, Brigid got back into the kitchen and started baking again. She experimented with various recipes using her family as her prime audience. Her young girls took a liking to her cookies and that is where the magic began. Coming up with fun, creative and sometimes crazy combinations became a full time hobby for Brigid. Eventually more than just her family were saying yum. Seeing people enjoy her cookies was so rewarding she had decided to share the yum with everyone! 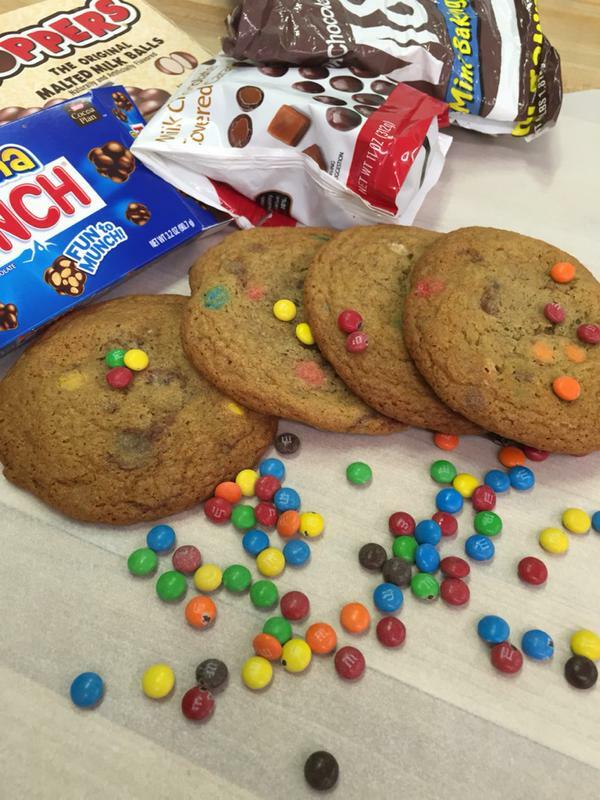 Cookieyum’s mission is about making people smile and eating good cookies makes people happy. Yum!